What first comes to mind about Jaipur is its alias, the Pink City. But to be honest, Jaipur should also remind you of its forts, museums, food and much else. There is plenty to do and see in Jaipur, which is why tourists can have a lot of fun in Rajasthan’s capital. We take you on a virtual tour and tell you all the best experiences to enjoy in our guide to the best things to do in Jaipur. Another cool experience is riding an elephant to the top of Amer Fort. The ride lasts for about 20 minutes and you are dropped at the gates of the fort. You are brought down to base by a jeep. Get there early as there can be a long queue for rides, and rides are limited in a day. Be careful of touts who will try to con you into taking more expensive rides. Prices for a ride are fixed at Rs. 1,000 for two people. The climb up the Aravalli Hills to the Nahargarh Fort is an exciting one. Along the way, you will pass through rugged, rocky terrain and curvy pathways. Great for those who love adventure, a hike to the Nahargarh Fort is a must do for every adventure enthusiast travelling to Jaipur. A cool way to explore Jaipur is on the back of a camel. Hire a camel ride from the market area and you are off on a mini tour of the city. Rides end at the Jal Mahal or the Lakefront. Rates range between Rs. 400 and Rs. 700 depending on season and your negotiation skills. f you are not up for hiking, you could cycle to the Nahargarh Fort. For the best experience, leave from the base early in the morning, you will reach the fort just in time to watch the sun rise. If you don’t have a cycle, you can hire one. If you are not keen on going alone, there are groups that do cycling trips to the Nahargarh Fort. The Jal Mahal is a great piece of architecture, it looks stunning and you’ll get some amazing pictures of the iconic palace. But what makes your experience even better is watching the sunset in the backdrop. It is an experience you must not miss out if you are in Jaipur. They say that you haven’t really explored a place unless you enjoy part of its culture. 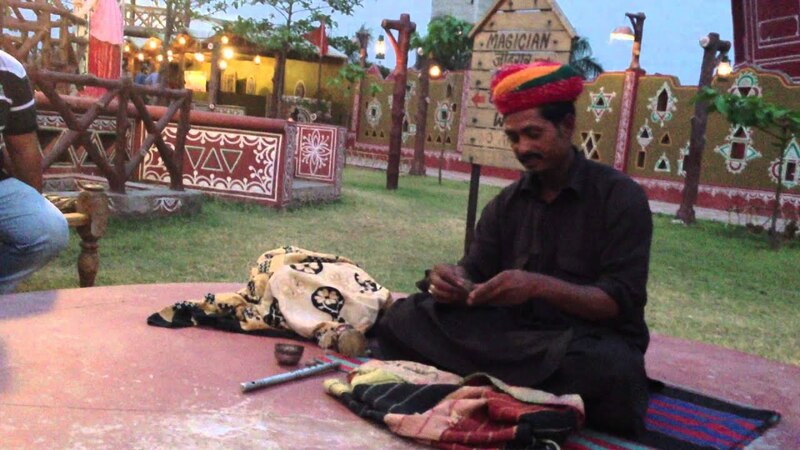 In Jaipur, one of the best places to enjoy cultural activity is at Chokhi Dhani. At this village themed resort, you can enjoy a variety of local experiences. You can go on camel, elephant and bullock cart rides, enjoy warm Rajasthani meals, be part of cultural programs and even enjoy a few adventure sports. The City Palace in Jaipur is a complex of palatial structures, including Chandra Mahal, Mubarak Mahal and a few other buildings. A major tourist attraction, it is packed practically every day, even during the sweltering heat of summer. The complex is part museum and part royal residence. Do hire a guide to understand the ways of the palace. There are many museums to see in Jaipur that have on display a variety of exhibits. There are museums that exhibit weapons, dresses, dolls and even clothing of Rajput princes. Some famous museums to visit in Jaipur are the City Palace, Albert Hall, the Maharaja Sawai Museum, the Anokhi Museum and the Dolls Museum. Guided tours are available and an entry fee is on an average Rs.200 per person. If there is one monument and tourist attraction that gives Jaipur a good name, it is the Jantar Mantar. Built by the Rajput king Sawai Jai Singh II, this place was created to measure the heavens. You will find some unusual devices and structures at the Jantar Mantar. To understand them better, it is best advised to hire a local guide. Guides charge anything from Rs. 200 to Rs. 400, depending on their experience and knowledge. Entry fee is Rs. 5 per person. Located next to the Albert Hall, the Jaipur Zoo is a great place to take the kids to. Explore the many species of animals and birds or enjoy the lovely greenery around, the choice is yours. Commonly found animals at the zoo are tigers, lions, panthers and deer. Entry fee is Rs. 15 per person. In Jaipur, you can savour the best Rajasthani food. Whether it is at a small eatery, a big restaurant or a local stall, you can sample all the authentic local dishes. Take your pick from Dal Baati Churma, Gatte ki Subzi, Laal Maans, Kachori and the famous Rajasthani Thali, which is a must try. Apart from temples and palaces, Jaipur is famous for its bazaars. Across the city, you will come across many local markets, some of which are iconic. Jaipur is famous for its carpets, handicrafts, cloth, textiles and sandals. Shopping in Jaipur is not only reasonable, it is also a lot of fun. You have to really scour through a lot of products as the choices are endless. The Statue Circle Garden is one of the most scenic gardens in Jaipur. Surrounded by lush green grass and many fountains, this garden is frequented by morning and evening walks, couples and families who come to enjoy a day of fun and yes, nature. A great place to chill out in the evenings, you will love walking in the garden, especially at night, when the lights are focused on the Statue Circle. 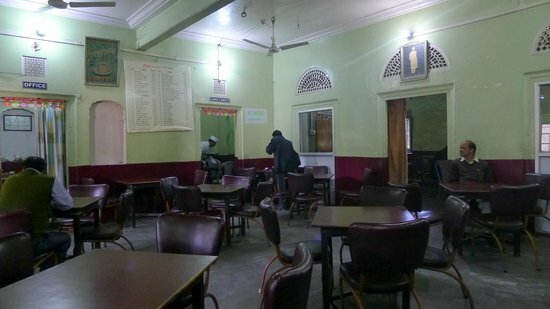 For a taste of nostalgia and coffee, you need to visit the Indian Coffee House in Jaipur. This coffee house has an old-world charm with rustic wooden furniture, scruffy walls and menus written with chalk on blackboards. The fanciest thing about this place is the waiters attire. They are dressed in white and wear the traditional Rajasthani turbans. They’re very friendly of course and will bring you coffee with a smile. There are two outlets in Jaipur and prices are extremely reasonable. Rajasthali is a store run by the government of Rajasthan. At this store you get yourself handicraft items, dolls, pottery, jewellery, Kota Doria sarees and much more. The products are made my local artisans and the money you pay goes directly towards their welfare. The store is a great place to grab a few souvenirs to take back home. Jaipur is a very historic city. It was the kingdom of the Rajputs and Jai Singh II had built some amazing structures all over the city. A good way to enjoy Jaipur is to explore the many wonders built by the Rajputs, in particular, Hawa Mahal, which, as the name suggests, can be breezy even in the summer. If you are in Rajasthan’s capital and are looking to have a good time, we suggest you explore the above-mentioned things to do in Jaipur. They will give you a fabulous experience and you will really get to experience Rajasthan’s culture and charm. Are you a local from Jaipur? We’d love to hear about the gems that you think are worthy of exploring. Let is know in the comments below.